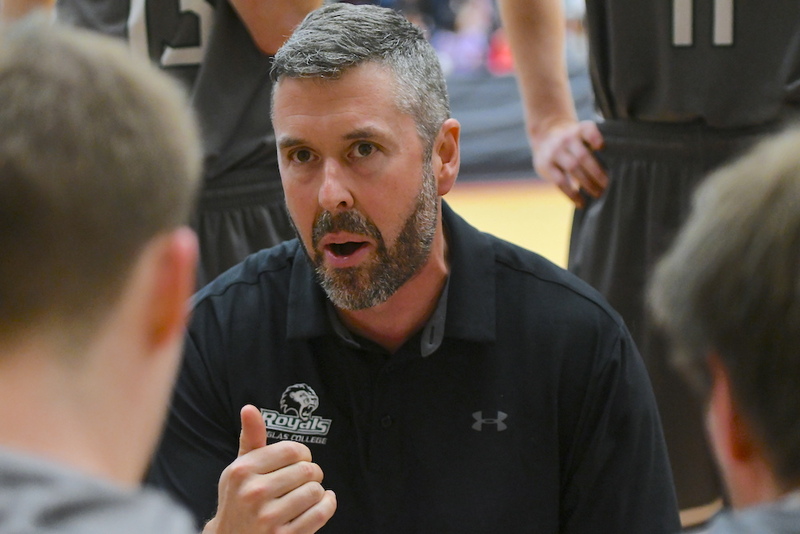 NEW WESTMINSTER — The Douglas College Royals may only be six months removed from their journey to the CCAA national men’s basketball championship final, yet the sport’s insuppressible nature of seasonal renewal is helping head coach Joe Enevoldson keep things very real. The meeting was quickly staged when both Douglas and UBC were among the three schools left hanging after NCAA Div. 1 UC Santa Barbara cancelled its three-game foreign tour due to air quality concerns brought on by B.C.’s ongoing wildfire situation. With Nanaimio’s Vancouver Island Mariners, Vancouver’s Langara Falcons and New West’s Royals all repping the PacWest Conference at the CCAA’s highest levels over the past number of years, the quality of play has seemingly continued to creep up towards that of its local U Sports cousins. Add the fact that Kelowna’s Okanagan College will debut this season with a team filled with veteran talent, including several U Sports-calibre players, and there is no shortage of stirring plotlines for local hoop fans to follow. And of course, the cherry on top is the fact that Langara will play host to the CCAA national tournament March 13-16 at the Langley Events Centre. With all of that said, PacWest teams have gone out in search of the best competition, and for Enevoldson, Friday’s debut puts his new team in front of as big a challenge as they will have this season. The search for chemistry of the kind which can put a team in contention for a national title can be elusive. Yet if you watched the Royals’ run to its 86-73 loss in the most recent CCAA title game to Toronto’s Seneca College, there was little doubt that the on- and off-court glue provided by its five fifth-year seniors was instrumental. Front-court leaders Paul Getz (Walnut Grove), Noah DeRappard Yuswack (Kitsilano) and Karun Samra (North Delta), along with guards Grant Campbell (Fraser Heights) and Ethan McKean (Walnut Grove) have all graduated. Add to all of that the fact that rising fifth-year forward Reese Morris and rising fourth-year guard Kameron Johnson will not return, and there are opportunities aplenty for not only the returning class, but also what looks like a blue-chip incoming class. Of course, that all comes down to trusting the process, and that is something last season’s core group exemplified as the Royals found everything clicking down the stretch drive. Nov. 2 is a date Lower Mainland basketball fans will have circled. That’s when Langara plays host to Douglas in the PacWest season opener for two of the league’s top teams. It will be hard to miss the presence of 7-foot E.J. Christie, a Brampton (Ont.) native via Louisiana Southwest College whose most recent development came courtesy of his red-shirt presence with the Simon Fraser Clan. As well, the Royals have added one of the most talked-about B.C. 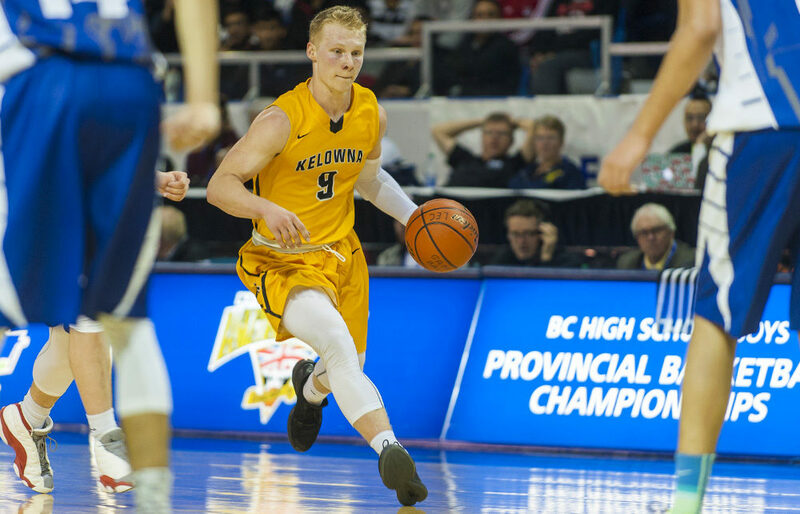 high school products in recent memory in former Kelowna Owls standout guard Parker Simson. The 6-foot, 200-pound Simson elected not to continue his pursuit of a dual football-basketball career with the UBC Thunderbirds, and this current off-season remains the first one in which he has focused exclusively on basketball. From the standpoints of leadership, physicality and athleticism, Enevoldson knows he has a special player in the making. “He is nursing a bit of a foot injury right now,” said Enevoldson of Simson whose first Royals’ action will come against his former team. “But the first practice he came out to, he was exactly what we thought: A leader, a tough-nosed guy. We lost a lot of that from last year, and that’s just what Parker brings. 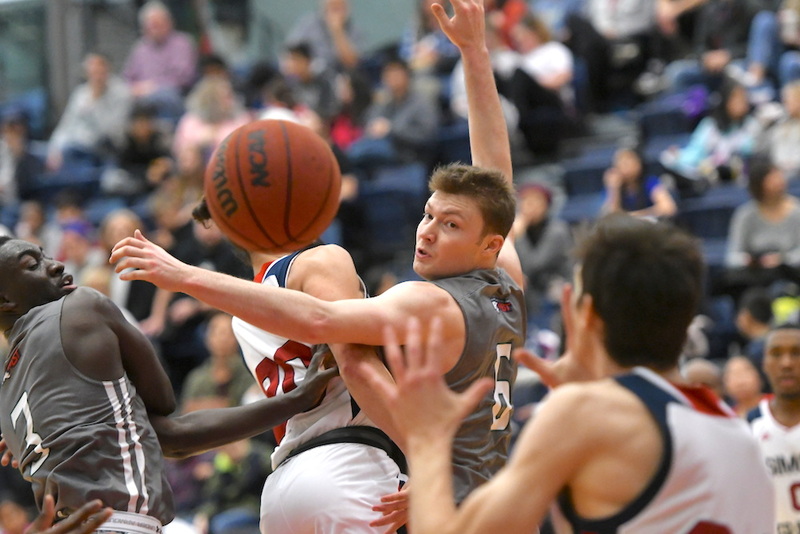 Douglas College will have a larger class of rising second-year players this season, including former Terry Fox guard Josiah Mastandrea, who as a freshman hit four third-quarter treys in the Royals’ national semifinal victory over Nomades de Montmorency. 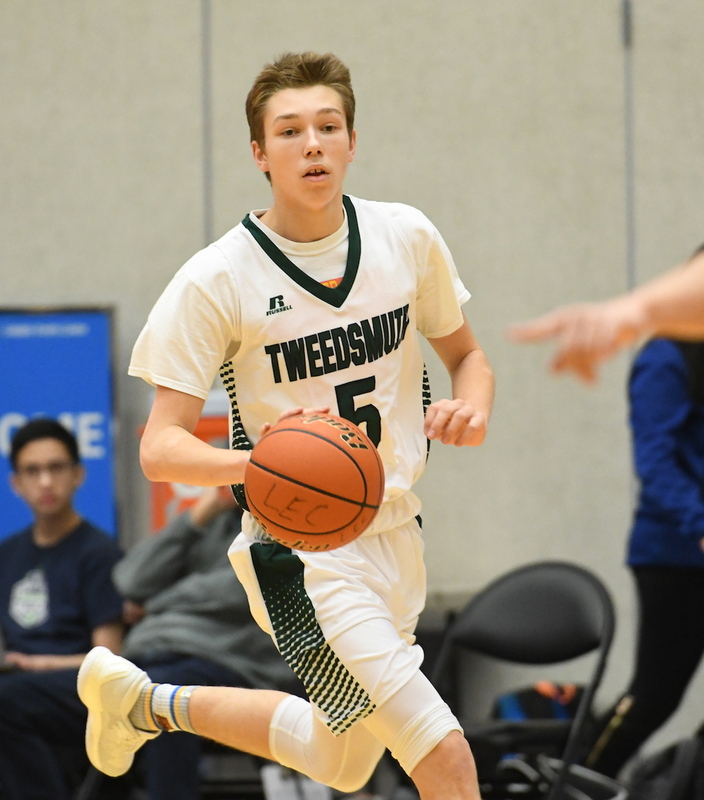 Among the group of incoming true freshmen is 6-foot-3 Lord Tweedsmuir guard Dylan Kinley, whose presence on a younger Panthers’ team elevated the play of all those around him. The Royals will have just one senior on this season’s roster and that is fifth-year Sylvester Appiah, a 6-foot-2 guard from New Westminster. All of that only serves to highlight how, just a half-year removed from a berth in the national final, the Royals are entering their next chapter. “We will only lose one senior from this group, so these guys could all be together for two or three years,” Enevoldson said.